Sakshi Malik’s mom: ‘Beti Khilao’ will become a reality : A week before leaving for Rio Olympic Games 2016, Wrestler Sakshi Malik made her mission statement. She chose a photo, got it framed and placed it prominently. The snapshot shows Wrestler Sakshi Malik with the tricolor in the backdrop and three words printed: I will win. On Wednesday night, 24 years old fulfilled her promise. It was the perfect Rakhi gift for her elder brother Sachin and millions of Indian sports lovers. Sachin told that Before leaving for Rio Olympic Games 2016, Sakshi did not buy a rakhi, to be tied by someone else in her absence. Main tere liye medal leke aaoongi, wohi teri rakhi hogi (I will bring a medal for you. That will be your rakhi). In her childhood, Sakshi was taken to the wrestling centre in Sir Chotu Ram Stadium, Rohtak for a tour of all the games played there. Volleyball, Basketball, Athletics, Gymnastics – she was shown each of them. None of them seemed to encourage the young girl until she entered a hall where young men in colourful vests where grappling with each other on mats. This is what I want to do, her mother Sudesh Malik remembers Sakshi telling her. Her mother Sudesh Malik told her that wrestling is a very tough sport but she was adamant. A retired school teacher, Her uncle Satbir said that Sakshi got her wrestling genes from her grandfather Badlu Ram. She spent the first four years of her life with her grandparents in her ancestral village Mokhra, Rohtak. Her grandfather Badlu Ram was a grappler as well as the village sarpanch. People used to come and wish him, ‘pehelwan ji namaste’. It is possible that the words left an impress on her mind. The life of any wrestler – man or woman – is an inventory of torn kneecaps, broken fingers, bruised backs, not to mention uprooted hair and twisted ears.Her first coach, Ishwar Singh Dahiya recalls the time when her mother Sudesh brought the young girl just 12 years old to be trained and groomed in 2004. Sakshi was very clear what she wanted. Karoongi to yehi karoongi. 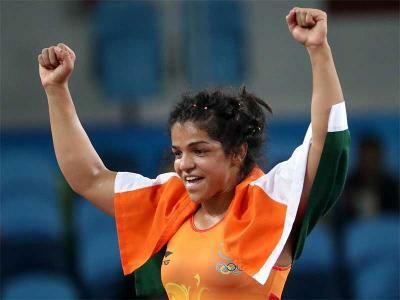 Wrestling was not a way out of poverty for Sakshi Malik. It was a choice. Her mother Sudesh said that She was always a good student too. 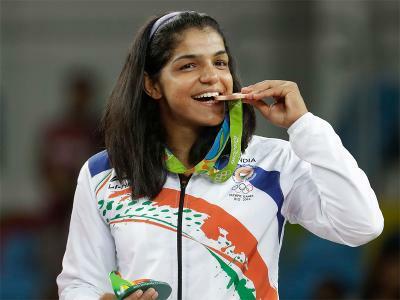 The bronze medal winner in the women’s wrestling 58 kg category in Rio Olympic Games 2016, Sakshi Malik also holds a master’s degree in physical education. 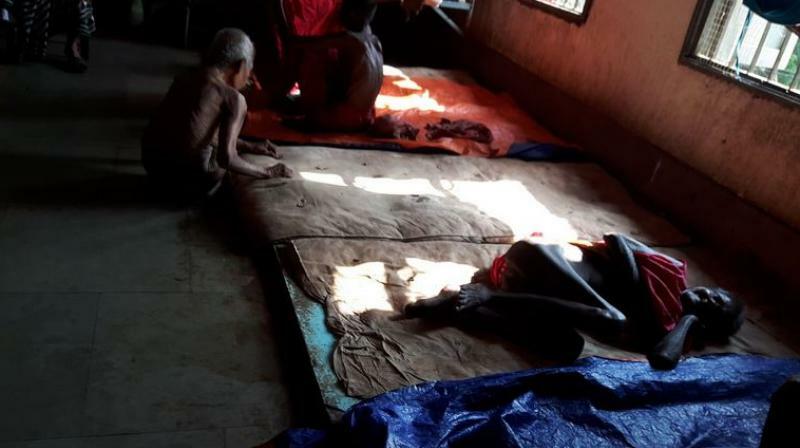 They live in a comfortable two-storeyed home in Sector-4, Rohtak. It is a house with a modular kitchen and tiled floors. A blue Polo car reposes outside. The father of Wrestler Sakshi Malik works with the Delhi Transpot Corporation (DTC) and her mother Sudesh is a supervisor in a anganwadi programme. Her uncle Satbir says that they also own 16 acres of land in their village. The success of Sakshi has only boosted their finances further. Dahiya recalls that I was a wrestling coach for boys since 1983. Then in 2003, a couple of girls asked me if I could coach them. They were wearing shirts and pants. At first, I did not realize that they were girls. Later, I could not turn them away. Soon I was training three girls — Kavita, Sunita and Suman Kundu. Sakshi Malik was the fourth girl whom I began training. An another coach of her, Mandeep Singh said that Six hours of wrestling every day and two hours at the gymnasium if the wrestling left her dissatisfied that’s how Sakshi trained. Her double leg attack is perfect. Her mother Sudesh says that both Ishwar Singh Dahiya and Mandeep Singh have been pivotal to her career. On Thursday night, she fought for a medal and eventually earned it. In a phone conversation with her mother, Sakshi confessed that she had dreamt of her granny the night before and felt she was encouraging her on. The mother of Wrestler Sakshi Malik, Sudesh Malik said that There’s a slogan, ‘Beti bachao, beti padhao’ (Save the girl, educate the girl). Now hopefully, ‘beti khilao’ (let girls play) will also become a reality.” Rohtak will be hoping that Sakshi becomes its new badge of identity after being racked by violence during the Jat quota stir in February.